A cozy well kept bach in a great position [2 sunbeds for that afternoon snooze] with the shops and beach a short stroll away. A family bach with all the mod cons and comforts of home. This bach has been in our family since 1949 and has been added on and modernised but retained the retro feel (we get a lot of feedback from people who love the kiwiana theme). It's got a large section with fruit trees and plenty of space for the children to play. Should you require linen to be supplied it would be $15.00 per person plus we can offer a excellent cleaning service at $50.00 for 4 people plus $10.00 for each extra. A great value cleaning sevice is available at up $80.00 depending on condition left. Linen supplied at. $15.00 per person includes washing and ironing Sheets, pillow cases,towels and tea towel. A $25% deposit is required to confirm booking the balance is payable 1 month prior to stay. No Tents allowed on section unless prior consent given. Lovely old style bach with modern conveniences. Thanks for the nice comments it has been a lovely Bach used by 5 generations of our family so far. With the full 1/4 section we xusally give renters with children preference. Great bach in great location. Older style bach in great location. Close to beach n shops. Very comfy and well equiped. Neat and tidy and very homely. Thanks for shsring your bach with us. Great spot, vintage batch style. We had an excellent stay. The location so close to beach and town was perfect. The house has such charm, with everything needed for a comfortable stay. Was clean and tidy. Big back yard, great for the kids. Safe street. Would for sure be back again. Fantastic location. Wonderful Bach would love to return one day. Worth every penny.Thanks for sharing your Bach with us. One of the best locations in Whangamata for the beach and town. 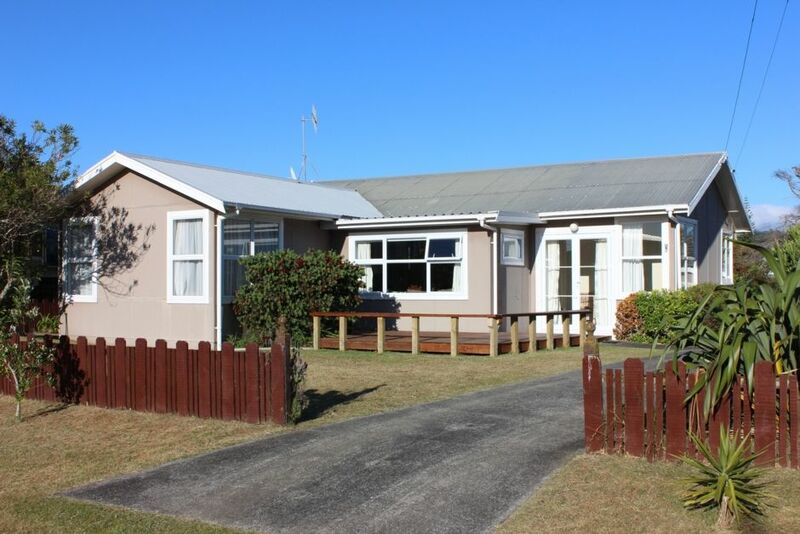 One of the best locations in Whangamata for the beach and town. Put the keys down and walk or cycle everywhere.